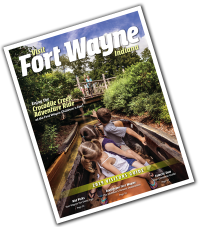 Please join us for a celebration of international culture and sustainable design! 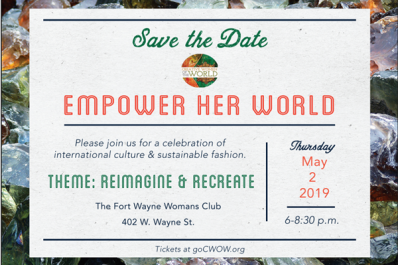 Creative Women of the World’s annual fashion show fundraiser is back at the beautiful and historic Woman’s Club in the downtown campus of University of Saint Francis. Our theme this year is Reimagine & Recreate, highlighting sustainable designs made by artisans around the world and in our very own community. World renowned artist, Sayaka Ganz will be unveling a special art piece from her signature theme, Reclaimed Creations: Creating energy and harmony from discarded plastic objects, transmitting a message of hope. 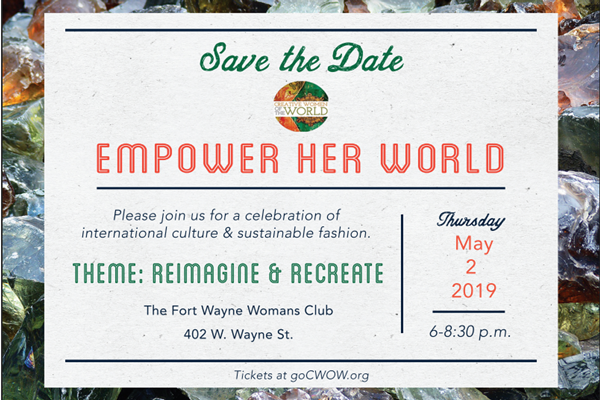 Prepare for a fabulous evening filled with food, fashion, art, music, a cash bar, live auction, an international marketplace, and more!